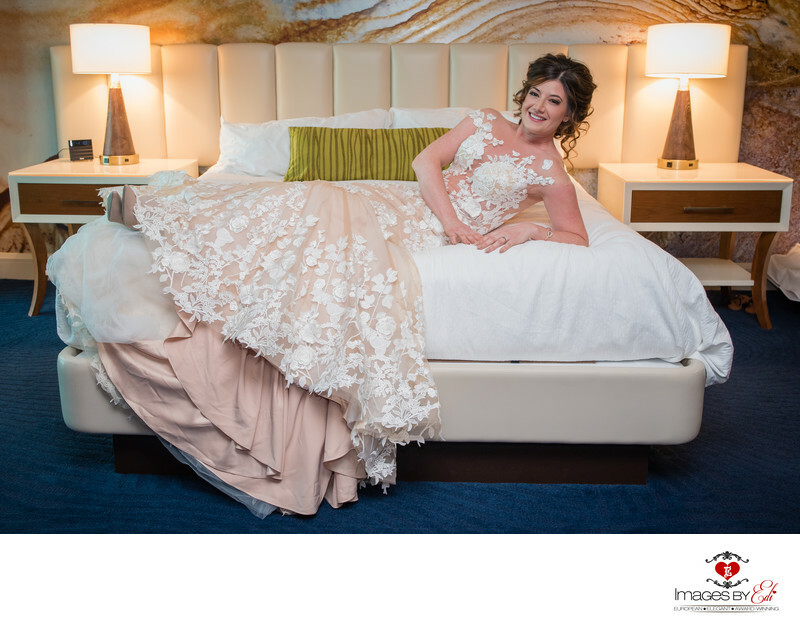 Mandalay Bay Las Vegas bride before her ceremony. She is wearing a beautiful very special designed wedding dress. The couple got married at the Mandalay Bay Resort Waterfalls. Their reception was in a penthouse suite at Palms Place.